A few years ago, the Instant Pot was the hottest thing in the kitchen. Lives were changed with the programmable pressure cooker. And Pinterest – let’s not forget that gem. Dinner time became easier and meal prep became fun. Now the air fryer is stealing the limelight and revolutionizing the way we are preparing food at home. The air fryer cooks things without using oil, so it’s healthier – and easier – than deep frying. It also is easy to clean up after and pretty hard to ruin anything. As with the Instant Pot, most people are scared to try their new air fryer, or aren’t sure what to make in it. But we’ve got you covered with some practical – and delicious – things to make in your air fryer. Frozen or fresh, you can roast vegetables in your air fryer easily. Frozen vegetables tend to work better as they have a little extra moisture. But whichever way you chose to make your veggies, remember to season well! 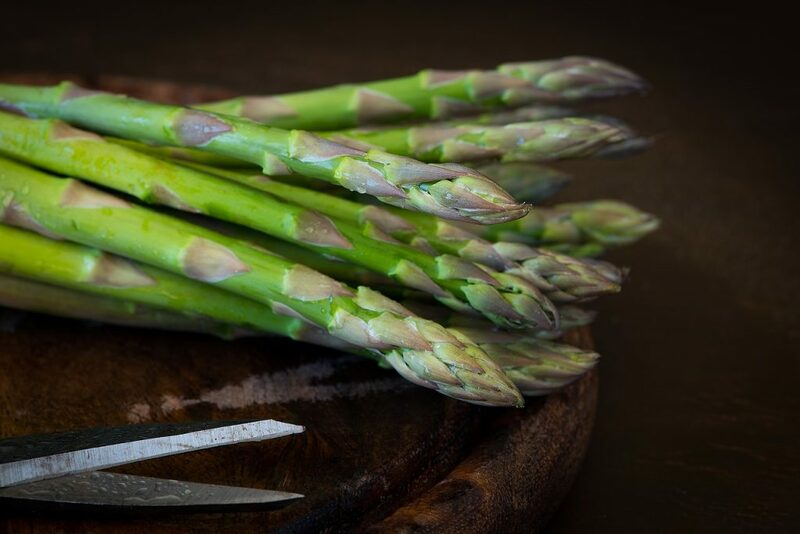 Asparagus – One option for asparagus is to spray it with olive oil and seasoning and toss it in the air fryer for about 10 minutes. Another twist would be to cut a piece of bacon in half, wrap it around the asparagus spear and cook them that way. Roast your asparagus at 400. Kale – Make your own kale chips in half the time in your air fryer. Lightly coat the chips in olive oil and sea salt, making sure to massage the oil into the kale leaves, put them in a layer in the basket and cook at 375 for 8 minutes. Halfway through, make sure to shake the basket so they cook evenly. Broccoli – Roasted broccoli – or cauliflower – florets is super simple in your air fryer. Take the bag of frozen florets, toss them in olive oil and season. Then cook for 10 minutes at 350, shaking the basket mid-way through before serving. So delicious and so easy. Where’s the meat? Yup, Air Fryers can help get the main course on the table too. Perhaps you’ll even get to the point where you need two air fryers, one for the veggie and one for meat. Hey, mother’s day is coming soon. 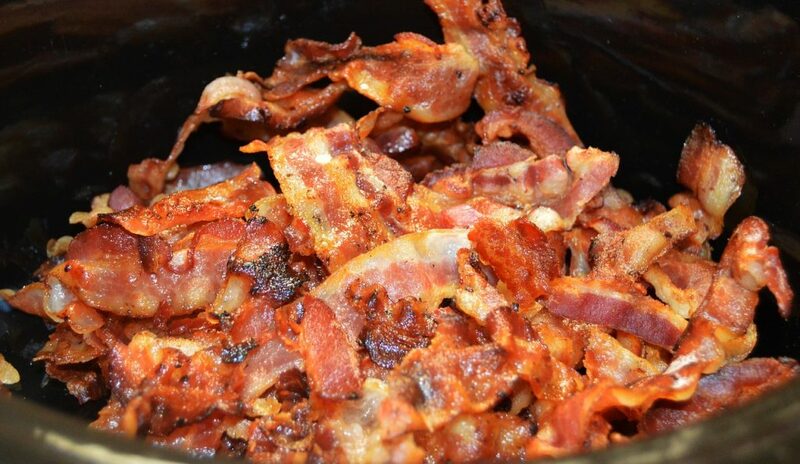 Bacon – Most people know about cooking bacon in your oven, or even sautéing it in the instant pot, but did you know you can make it in the air fryer too? It is recommended that you place a piece of a parchment paper inside the basket and put the bacon on that, to help with clean up. Cut the bacon in half to make more manageable sized pieces and cook for 10 minutes at 400, flipping the pieces halfway. 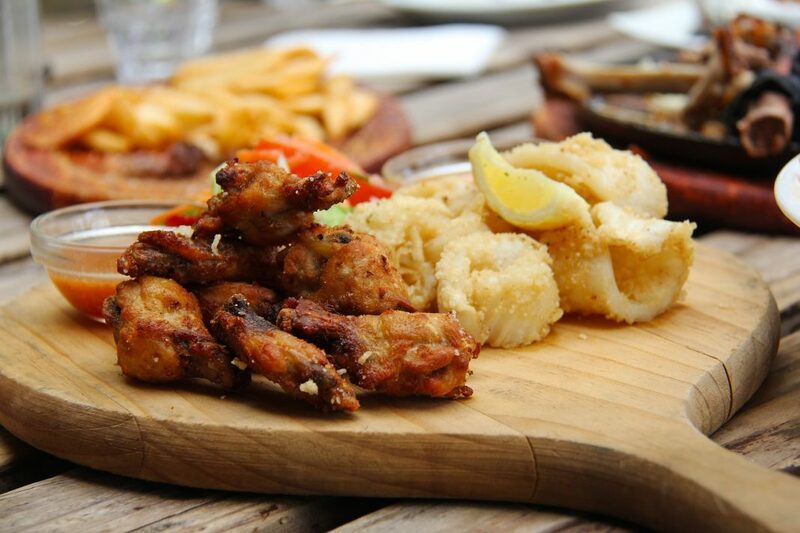 Chicken Wings – Once you try chicken wings in your air fryer, you’ll never want to go out for wings again. Toss your frozen, raw chicken wings into the air fryer and cook for 25 minutes at 350, flipping them halfway through. For the last 5 minutes, bump the temperature to 390. Prepare your hot sauce and toss the cooked wings in them before serving. Hamburgers – Sometimes you just can’t muster up the will to grill. Thank you, Air Fryer, for allowing us to still have hamburgers in those moments. Grab some lean beef, from some even, well-seasoned burgers, and cook at 400 for 10 minutes. Then flip them, add some cheese, and cook at 2 to 3-minute intervals until desired doneness. Yes, this will also work with frozen patties. Air Fryers don’t have to be all about meat and potatoes. Sure, it makes putting a healthy dinner on the table easier, but you can still have some fun with it. Recipes on Pinterest range from lava cakes to cookies and other sweet treats, here are a few of our favorite, not always healthy, recipes. 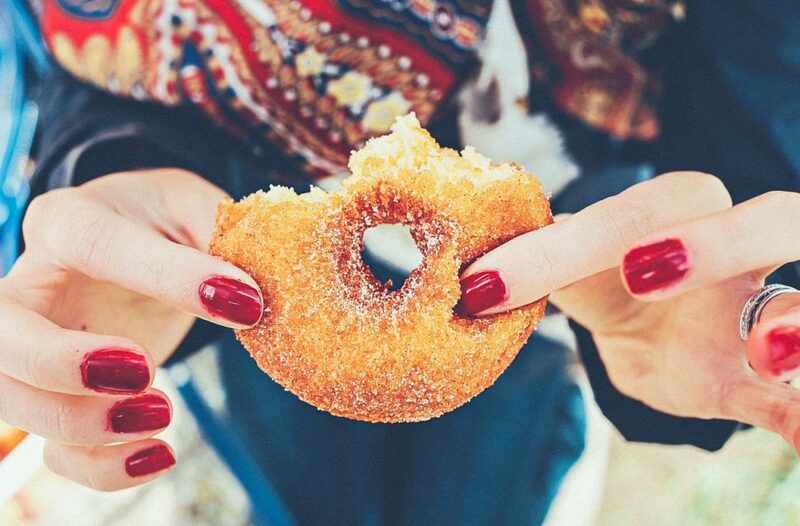 Donuts – Yup, donuts in the air fryer. Now, you could make them from scratch or you could use some premade dough like flaky biscuits and dress them up with cinnamon and sugar. Cook these 3 to 4 at a time – make sure they aren’t touching – at 350 for 5 to 6 minutes total, flipping them once. 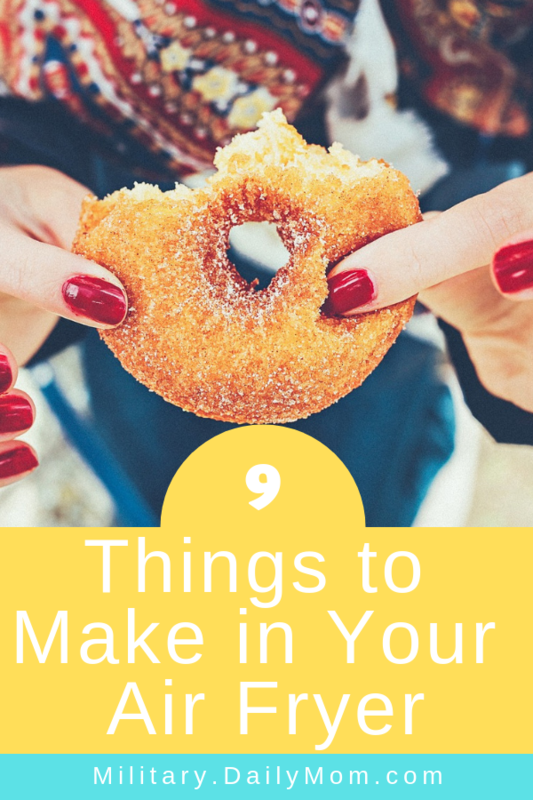 Also – make this a bit easier by forming them into donut holes, at just 3 minutes total for cooking time. English Muffin Pizzas – Mini pizzas are a great thing to make ahead and freeze, but when you put them in the microwave to reheat they can get soggy. Just a few minutes in the air fryer at 350 and they are warm and crispy. Cinnamon Toast – However you may like your toast, topped with cinnamon, sugar, and butter makes it extra yummy. Instead of using the oven – which increase the time so much it’s not worth it in the morning – try using the Air Fryer. In just 5 minutes at 400, breakfast is ready. And you can move onto packing lunches and braiding hair. While the air fryer may still be a bit intimidating, by starting with some simpler recipes or side dishes, you can gain confidence and then tackle some more complicated recipes later on. So, what’s for dinner?